Nothing says luxury quite like Scott. The collection of armchairs, chaises, ottomans and sofas has a sleek silhouette with pulled details in the seat cushions. 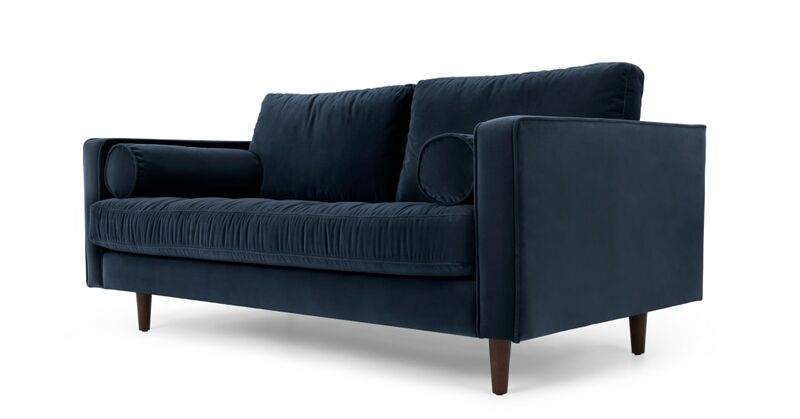 Upholstered in a soft cotton velvet, this range oozes sophistication. With a deep, sprung seat and feather-fibre mix cushioning, Scott is all about getting cosy in ultimate comfort. The clean, square lines of this piece give a subtle nod to mid-century design. We picture jewel-toned cushions complementing this style.